With Robot Overlords out in cinemas this week, Gillian Anderson chats to us about family movies, sci-fi, and her love of Studio Ghibli. 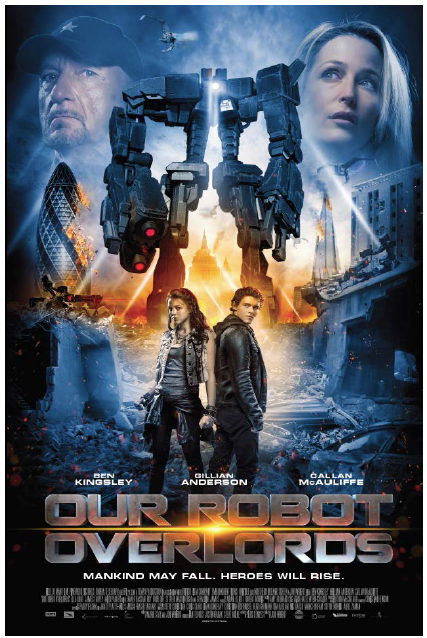 Robot Overlords is the new film from director Jon Wright, who previously gave the world Tormented, and the terrific Grabbers. It’s a throwback of sorts to the kind of movies we got for families in the 1980s, and his impressive cast is anchored by Gillian Anderson and Sir Ben Kingsley. We got to speak to Gillian Anderson ahead of the film’s release. And having established that there’s no fresh news on the X-Files reboot that had been chatted about earlier in the year, here’s how things went.